Riley Benjamin King (September 16, 1925 – May 14, 2015), known professionally as B.B. King, was an American blues singer, electric guitarist, songwriter, and record producer. King introduced a sophisticated style of soloing based on fluid string bending and shimmering vibrato that influenced many later electric blues guitarists. B.B. King - The Thrill Is Gone Music video by B.B. King performing The Thrill Is Gone. (C) 2009 Montreux Sounds, S.A., under exclusive license to Eagle Rock Entertainment Ltd. http://vevo.ly/J04uAL"
B.B. 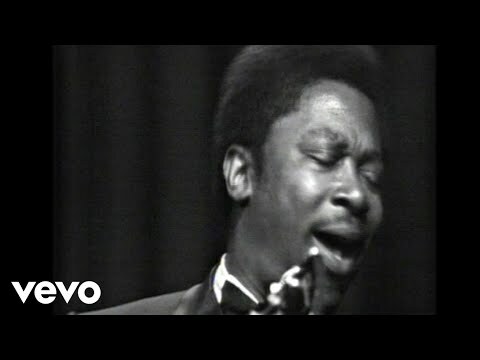 King - How Blue Can You Get (Live) For more info - http://www.eagle-rock.com/artist/bb-k... This amazing concert brings together some of the true pioneers of rock 'n' roll music including Bo Diddley, Jerry Lee Lewis, Little Richard, James Brown, Fats Domino and B.B.King. http://sma"
B.B. King - Live in Africa B.B. King - Live in Africa"
B.B. King - Sweet Little Angel (Live) Music video by B.B. 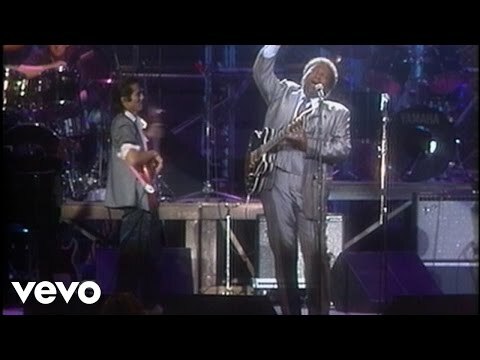 King performing Sweet Little Angel (Live)." B.B. 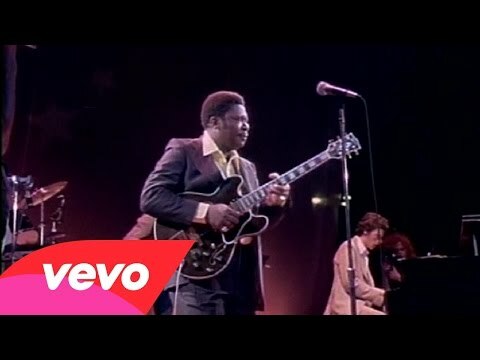 King - Everyday I Have The Blues (Live) Music video by B.B. 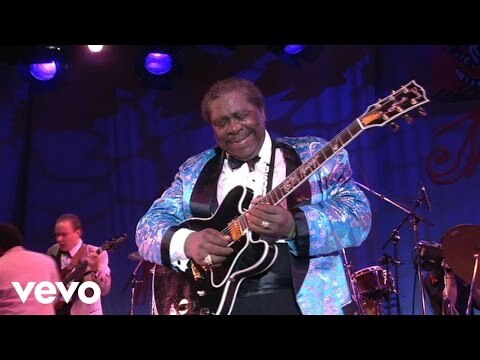 king performing Everyday I Have The Blues (Live)."